Cook was about 4 months old in 1927 when her image was sketched in charcoal by a family friend. 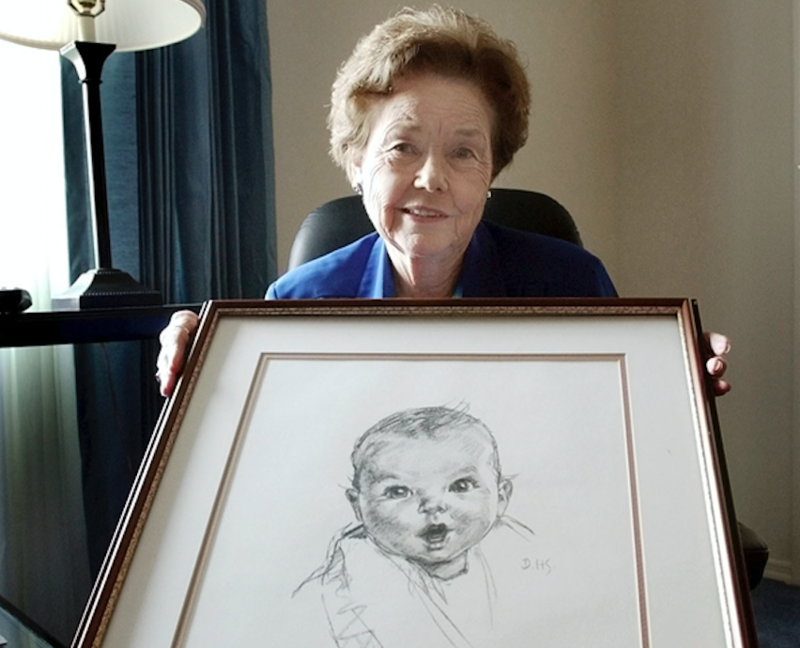 The drawing was submitted to Gerber a year later when the company put out a call for images to be used in its new baby food advertisements. Cook’s picture became Gerber’s official trademark in 1931.